Is it just me or is it harder to look after your skin in Winter? In Summer, skin tans and glows and if you want to protect it just make sure your moisturiser has an SPF. But in Winter, central heating causes the air to get drier and so skin looks duller and drier. Moisturiser doesn’t help for long as you put it on in the morning and by the time you’ve been outside in the cold on your commute to work, and maybe even on some hot and sweaty public transport, your skin feels dry and itchy again. When I first heard about the product, I have to admit I wasn’t sure what a humidifier was. They’re more popular in hotter, drier countries where the dry air causes allergies and dehydrated skin. Quite simply, they’re devices that add moisture to the air and create the perfect level of humidity in a room. As the Winters in the UK get more extreme and we’re forced to spend more time in our homes and offices with the central heating on, the more use we have for humidifiers. 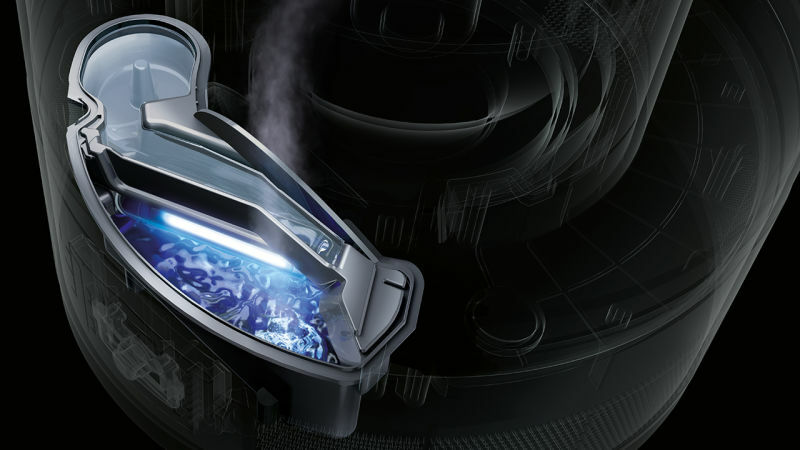 There are other humidifiers on the market, aside from Dyson obviously, but the reason the Dyson invention is so exciting is because it’s a lot more hygienic than other humidifiers. Existing humidifiers can harbour nasty bacteria, which is then circulated around the home doing more damage than good. But a Dyson won’t do this thanks to Ultraviolet cleansing technology to kill 99.9% of bacteria in water. Every drop of water in the Dyson humidifier is exposed to Ultraviolet light twice, thoroughly cleaning it before it enters your home. Prevention of fine lines and wrinkles, keeping you looking younger. It was the last bullet point that did it for me. I am constantly on a quest to try new products and treatments so I can protect my skin against lines. I’m doing ok so far, but I’m not in my early twenties any more and a lot of late nights have taken their toll. According to The Skin Health Alliance (there’s evidence from a professional body to back-up the anti-ageing claim!) low humidity reduces skin’s elasticity and low elasticity is what causes lines and wrinkles as the skin can’t spring back into shape. If you use this product at night like I did, it’s recommended you put it on the floor. Simply fill up the tank and attach the top tube. The machine runs for 18 hours on a single tank of water. Once I’d set it up and filled the tank, I had to try to make it work. However, you don’t need to be genius to use this. It has a built-in climate control thermostat for measuring both temperature and moisture content, adjusting the output automatically for the most comfortable environment. This means if you leave it on the automatic humidity setting, it does all the work for you. However, if you suddenly wake up in the middle of the night cold, you could use the remote control to alter it manually. This didn’t happen to me though. I slept like a log once I stopped playing around with different temperatures and setting. I could also feel it working. 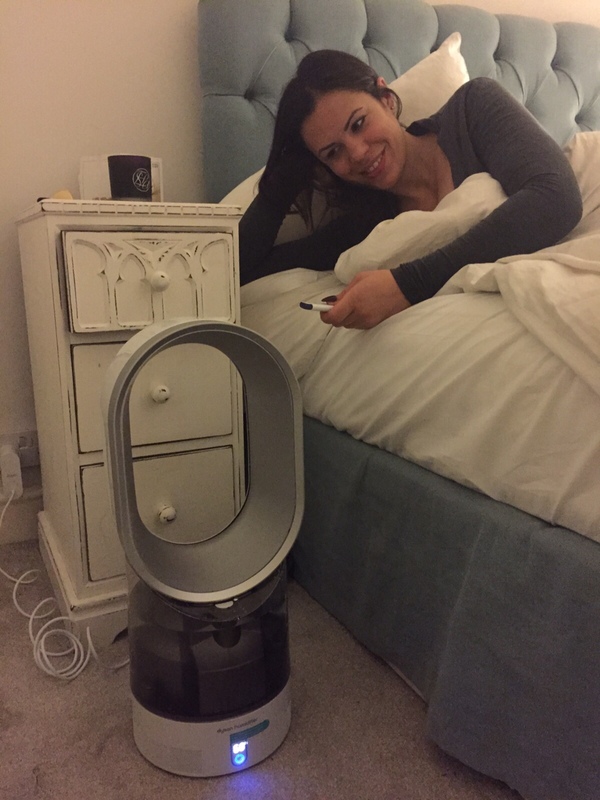 On my first night, I kept going away from it (onto my boyfriend’s side of the bed) so I could feel the difference between air only and humidified air, with the humidified air feeling more comfortable and refreshing. I didn’t wake up once during the night and the real bonus I’ve noticed is that my boyfriend, who has asthma and allergy problems, is definitely snoring less. I’m looking forward to using it throughout the Winter and seeing if the results last. 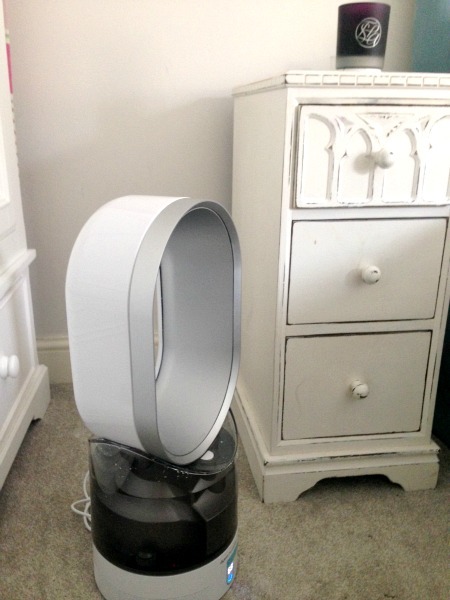 Even better news is that it also doubles up as a fan so you can use it in Summer and all year round. Piezoelectric transducer: In the base of the machine, vibrating up to 1.7 million times a second, breaks the water down into microscopic particles, which are drawn up through the loop amplifier and projected through the air using Air Multiplier™ technology. Patents: There are over 275 patents and 130 patents pending on the Dyson humidifier. Dyson’s Ultraviolet Cleanse™ technology is protected by five patents. Prototypes: During the development of this technology, 643 prototypes were developed as well as over 32 new test methods. Development costs: The Dyson humidifier cost over £37.5m to develop. 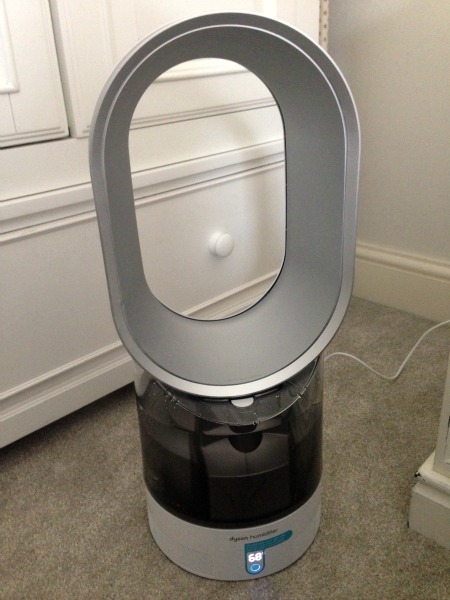 Materials: The Dyson humidifier is made from Polycarbonate.